To read Part 1 of stakeholder definition and types of stakeholders please click here. Therefore without even realising it, customers are also one of the types of stakeholders purely through their vested i nterest in ensuring they get good customer service in the future if required. All suppliers want two things; to be paid promptly and to win more business. As such they are a type of stakeholder because they want to ensure that both of the things they want are delivered. The one thing banks hate doing is losing money. And with Organisations often borrowing millions they need to be careful that this doesn't occur, whilst at the sametime offering competitive market lending rates. Do not be fooled by the fact that banks often make individual borrowers jump through hoops when borrowing money by forcing them to use their homes as collateral. Whilst banks do not force Organisations to do the same, they know full well that should a borrower default who owes $100,000, the borrower has the problem. But should a borrower default who owes $10 million then the bank has the problem. That is why banks tend to be rather active stakeholders in Organisations along with their counterparts in the hedge fund and unit trust businesses. As such they fit into the stakeholder definition by virtue of the fact that they have a stake in a Company due to the money which having been lent, needs to be repaid. Why on earth should the government be a stakeholder in an Organisation? After all few companies are like the investment banks which have significant shareholdings owned by the government. As such the government can be construed as a stakeholder in a private Organisation because they want to ensure that both jobs and tax revenue are stable and maintained. It is for this reason that government's are so willing to bale out certain large Organisation's such as car manufacturers. As you will see from the above list, there is a huge range of different entities and people who would meet the stakeholder definition. However don't let this concern you. 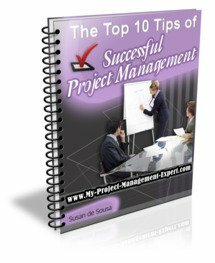 On a project you will usually only encounter the usual project management stakholders.